ME, THE MOB & THE MUSIC: The Crimson & Clover Underbelly Of Classic Pop – Schlockmania! Pop music has a lot of problems today but the biggest and worst may be its utter predictability. Modern pop is just another corporate shell-game. The showbiz conglomerates choose the stars, groom them and control all phases of their careers and publicity. Even when scandals occur, the management of these moments rolls out a yawn-inducing, thoroughly premeditated fashion. The end result is pop-cultural pablum that seldom connects on any visceral level because it has been pre-packaged and micro-managed within an inch of its life – and the pop-tarts spewing it out are even less interesting. However, there was a time when the pop marketplace was as wide-open and unpredictable as the Wild West. Anyone willing to try hard enough could score a hit – and if they landed the right breaks, they could get a whole career out of it. 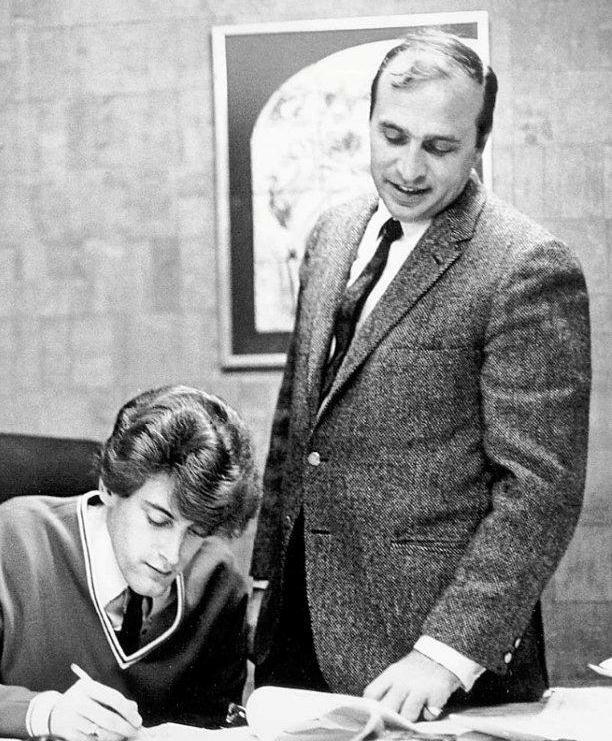 This was possible because the music business had not yet become a corporate enterprise – and as a result, many shady operators were able to ply their nefarious trade while scoring a bundle off the country’s music-loving teen populace. 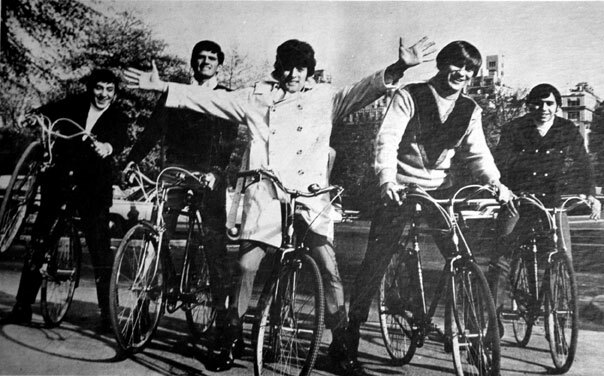 The career of Tommy James represents an interesting convergence of these two aspects of pre-corporate pop. He rose from midwestern obscurity to produce a string of AM-radio evergreens that made him one of the most successful pop stars of his time: “I Think We’re Alone Now,” “Mony Mony” and “Crimson & Clover” are just three of the biggest. He was also the major act for Roulette Records, an infamously mobbed-up label run by the most notorious of crooked record men, Morris Levy. 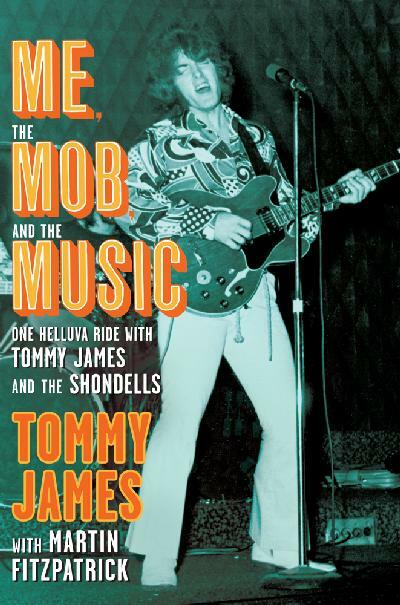 James tells the story of his career and relationship with Levy in Me, The Mob & The Music and it’s a tale that any retro-pop maven will want to dive into. With co-writer Martin Fitzpatrick, he chronicles his career in a breezy, colorful style that makes the pages flip by with ease. His dues-paying days follow a classic progression: a childhood obsession with music leads to the formation of high-school groups that lead into a semi-pro regional career. It’s the kind of scenario familiar to anyone who’s ever read a garage band history in Ugly Things magazine but it has a timeless charm that will fascinate anyone interested in the forces that drive a would-be pop star – and James and Fitzpatrick tell it in a heartfelt, engaging style. Things get more interesting when James’ obscure regional single “Hanky Panky” becomes a breakout hit in Pittsburgh and the record companies get interested. This is where Levy comes into play, scaring off the major companies so he can take the record. James signs with him and enters into an agreement that becomes a double-edged sword. With Roulette, he got 24-7 attention from a gifted staff that pushed his records relentlessly and gave him the room to develop his material the way he saw fit. At the same time, Levy never paid him a cent of the amazing royalties he racked up and treated him like an indentured servant, to boot. James copes with the unfairness (and occasional danger) of this situation via booze and pills as things build towards a showdown with his corrupt, Machiavellian mentor. Simply put, Me, The Mob & The Music delivers everything a music fan wants from a book like this. James lays out the story behind the creation of each of his pop classics and dishes out eye-opening tales of life as a pop star, including a sad encounter with childhood idol Buddy Rich and his unlikely friendship with Vice-President Hubert Humphrey (which includes him giving Humphrey an upper one night so he can pull an all-nighter to write a speech!). He also goes into the sneaky practices that Levy utilized to make tons of off-the-ledger money and spins a few scary stories about James’ brushes with Levy’s mobster pals (a story about a Christmas party at a nightclub packed with Levy’s mobster buddies is like a scene from Goodfellas). It’s also worth noting that Me, The Mob & The Music is a honest, well-written book. James is critical about his professional and personal mistakes, never making excuses for his own role in his music-biz troubles or his romantic problems. He and Fitzpatrick capture the tale in a spare style that lays on detail where necessary but otherwise maintains a snappy pace. As a result, it packs a lot of material into its 225 pages. Word has it that James is developing this book for big-screen and Broadway musical treatments. He’s definitely got the material to make either treatment work and Me, The Mob & The Music is a tale worth exploring for anyone interest in pop music’s Wild West days. This looks amazing. I love Tony’s kind of pop music, thanks for the recomendation. Did you read Les McKwoen from the Bay City Rollers bio? It’s one of my fav, and this seems similar to that book (a very good thing)! Haven’t read the McKeown book but I should because I’m actually a big BCR fan. I’ll probably review some of their albums at some point.